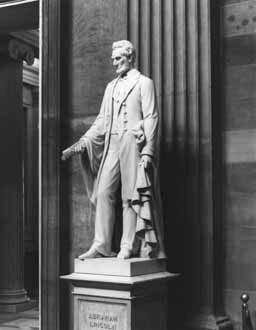 Vinnie Ream, sculptor of the statue of Abraham Lincoln in the U.S. Capitol rotunda. 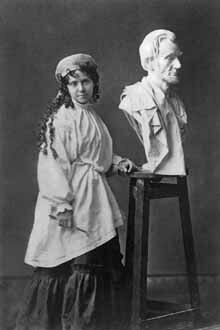 Vinnie Ream was the first woman and the youngest artist to ever receive a commission from the United States Government for a statue. She was an "Omnibus" child prodigy" with remarkable talent. Vinnie Ream was awarded the commission for the full-size Cararra marble statue of Lincoln by a vote of Congress in 1866 when the artist was 18 years old. Vinnie Ream also designed the first free-standing statue of a Native American (Sequoyah) to be placed in Statuary Hall at the Capitol. She built the first major monument to a U.S. Navy Officer (Admiral David Farragut) to be built in Washington, D.C.
A noted writer and singer, she helped wounded soldiers write letters and gave concerts in the Civil War hospitals. Vinnie Ream's family were Pennsylvania Dutch (Deutsch) who emigrated to the William Penn Colony in 1717 from the Palatinate region of Germany. Her grandfather fought in the American Revolutionary War. 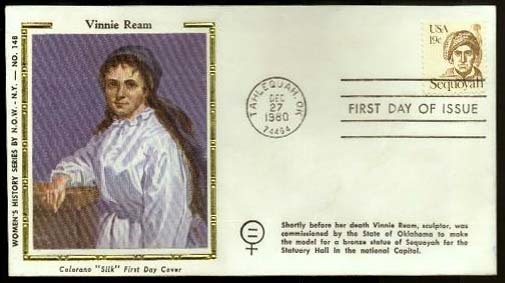 Vinnie Ream was a member of Daughters of the American Revolution (DAR). The Ream family (Rheim, Riehm) were protestants who were also thought to be French [Huguenot] refugees. Vinnie Ream was born in Madison Wisconsin in 1847. Her father was a land surveyor and early Wisconsin Territory official. Her mother was a McDonald of Scottish ancestry. Vinnie Ream attended Christian College in Columbia, Missouri. Vinnie Ream married Richard L. Hoxie of the U.S. Army Corps of Engineers in 1878. They had one son. The Hoxies had a summer home in Iowa City, Iowa. The town of Vinita, Oklahoma was named in honor of Vinnie Ream. This story is a kind of Gone With the Wind in which an actual woman of noble soul replaces the vicious fictional heroine. Indeed, the history of American women sculptors reads like fiction, because these women had to be unusual and unconventional in order to accomplish what they did in the face of tremendous obstacles. —Charlotte S. Rubinstein, author of American Women Sculptors and American Women Artists. Vinnie Ream has long needed a full-length study of her life and work. 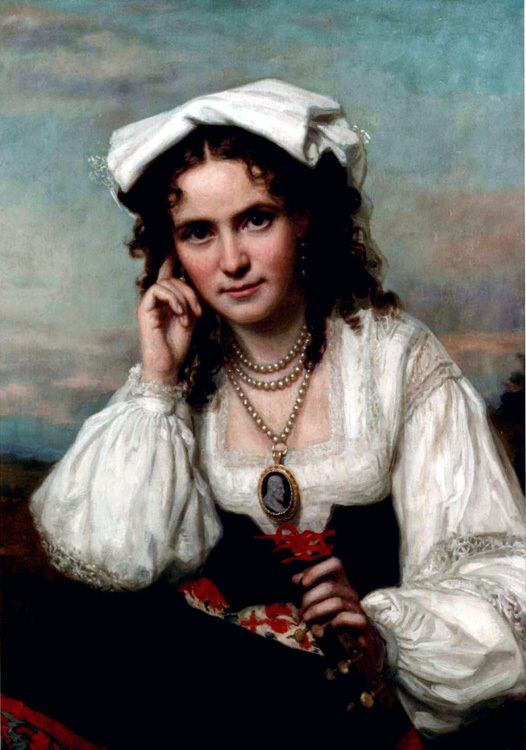 The tale of this spirited woman's career is a fascinating one and this richly illustrated biography establishes her rightful place in the history of American art. —Betsy Fahlman, Professor of Art History, Arizona State University. Glenn Sherwood's revelations are especially startling, persuasive, and riveting. He has placed Vinnie Ream within the fascinating intrigue of Washington politics during the 1860s and revealed the impact of those entanglements with the creation of one of the most controversial works of art of the decade. —William H. Gerdts, Professor of Art History, The City University of New York, author of American Neoclassical Sculpture and The White, Marmorean Flock. A prodigiously researched and enchantingly written account of one of the most original, most unusual, and most often overlooked figures of 19th-century American art. Blessed with a keen sense of what made art popular, Vinnie Ream lives again on these pages. —Harold Holzer, author of The Lincoln Image and The Lincoln Family Album. A fascinating, thoroughly researched and well-told tale that opens new windows into the political and cultural life of the 19th century. Moreover, it is such a colorful story that it makes most costume dramas of the period pale by comparison. —Donald R. Kennon, Chief Historian, United States Capitol Historical Society. 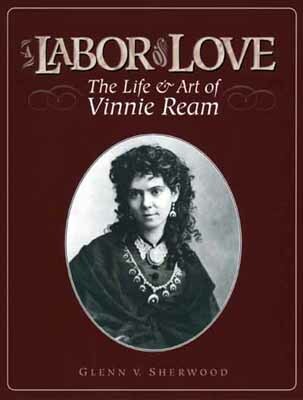 We have also had a number of wonderful new books arrive for our library, including the spectacular A Labor of Love: The Life and Art of Vinnie Ream by Glenn V. Sherwood. —Mary Ruthsdotter, Editor of Women's History Network News, National Women's History Project. 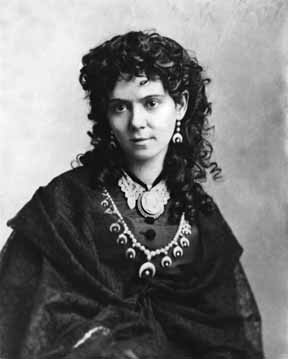 Vinnie Ream was a member of the National League of American Pen Women. She was one of our most revered members, as she qualified in all three classifications. Not many in our history have done that and we are very proud of her membership. We donate an entire room to her in our National Headquarters in Washington, DC. Biography: Glenn Sherwood has the unique distinction of being related to the Ream family through both parents. He has been employed for over 25 years in the field of mechanical engineering and has written many article in trade journals and conference proceedings. He has been a classical musician and recording engineer to Colorado community orchestras for many years. He served over 10 years on city and county landmark preservation boards in Colorado writing historic building research studies. He is the author of numerous articles and editorials on local preservation. In 1989, he was awarded a fellowship from the United States Capitol Historical Society to write a detailed study of his family ancestor, Vinnie Ream. DVD A new one hour DVD documentary Vinnie Ream: Lincoln's Young Sculptor by Hi-Country Media Productions is now available. It has aired on several PBS stations. Price $19.95 plus shipping. Free A 7-minute mini-documentary Lincoln's Young Sculptor in Windows Media WM9 format (13.4 megabytes) Free download here or on You Tube by Hi-Country Media Productions.